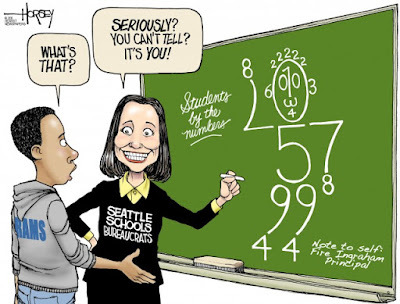 I would like to update you on the math lawsuit against Seattle Public Schools, reveal an interesting encounter with Seattle Superintendent Susan Enfield, and tell you the depressing tale of our state's math curriculum. As many of you know, I was involved in a lawsuit against Seattle Public Schools with two other local residents, Martha McLaren and DaZanne Porter, over problems with Seattle's adoption of the Discovering Math series. This math curriculum was found to be"unsound" by the WA State Board of Education and is a very poor discovery-type math text (students are not taught concepts but must "discover" them for themselves, lots of calculators, little learning of basic skills). 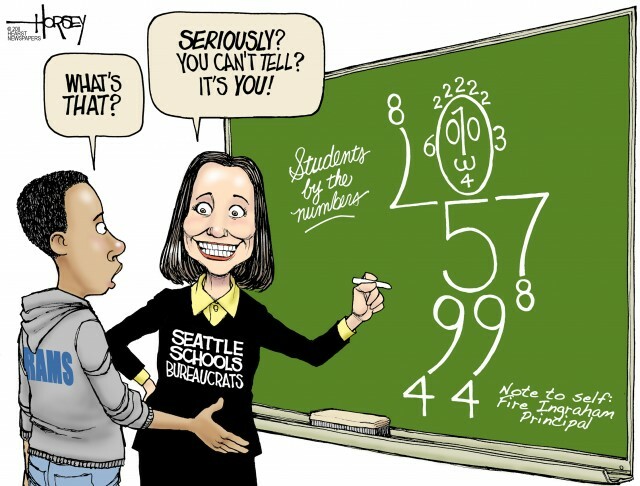 The Seattle School Board adopted them, knowing about the problems and without a proper review. In Feb. 2010, King County Superior Court Judge Julie Spector ruled in our favor, finding the School Board's decision to be "arbitrary and capricious." She instructed the board to review their decision. All they had to had to do was to go through a thorough review of these books. The District refused and decided to spend many thousands of dollars in appealing the case. Just amazing--that money was critically needed for student support. The Court of Appeals did in fact overturn Spector's courageous decision, based on the usual reticence of the courts to get involved in educational decisions. Although our lawyer felt our case was sufficiently strong that we might prevail in a further appeal, we decided not to proceed with a lawsuit and instead put our resources into getting at one of the sources of the problem--the dysfunctional, rubber-stamping school board running the Seattle School District. Furthermore, we did not want the district to waste any more money on the lawsuit. Two of the school board members who voted for the bad math books--with clear knowledge they were unsound and damaging to students-- are Peter Maier and Sherry Carr. They should NOT be reelected. (Note--some of the most recent additions to the Board show substantial promise: Directors Patu and Smith Blum--and Director DeBell was a leader in trying to stop the bad math). Replacing a few of the bad apples could result in a far more active and functional board. During the past few months, the ineptness of the current school board and the administrators they have selected have been amply demonstrated, requiring the firing of Marie Goodloe Johnson, the past superintendent. Their poor choice for interim superintendent (Susan Enfield) is now in trouble, having fired and now forced to rehire the principle of Ingraham High School. Cartoon courtesy of David Horsey and the Seattle PI. Now here is a story that has not been in the newspapers. Several parents involved in improving math education secured a meeting with Susan Enfield BEFORE the Discovering Math books were selected. At that time she was the chief academic officer of the district. They told her about all the weaknesses of the books and reviewed objective studies that demonstrated that they are particularly damaging to minorities and English As a Second Language learners. She listened and smiled and did nothing. Thus, it is extraordinarily hypocritical that she decided to fire Ingraham HS Principal Floe for poor math scores at his school (which has a large minority population) since she KNOWINGLY allowed a book that preferentially damages such groups to be used district wide. What is also not well known is that Principal Floe has been open to using good math books in his high school, rather than using the fuzzy, discovery texts preferred by the central administrative offices of the Seattle School District. I can't help but ask the following question: if Martin Floe deserved to be fired for the supposed lack of performance of his high school, shouldn't the Chief Academic Officer of the district (Susan Enfield) have been fired for the overall district-wide stagnation of academic performance, particularly of lower-income students? Why does the buck stop at the principals' door and not at the door of higher (and very high price) administrators like Enfield and her associate Bree Dusseault? My only hope is that recent demonstration of management and oversight incompetence by the Seattle School District will result in the replacement of School Board members Maier and Carr with people willing to ask questions, and the replacement of the Interim Superintendent Enfield and her equally incompetent, management staff (like Bree Dusseault who recommended the firing). Then the district can take some positive steps like replacing the math textbooks for K-12, since all of them are hopelessly fuzzy and poor. 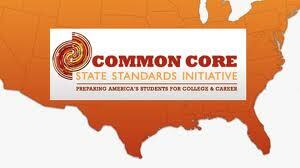 Finally, some have asked what has happened with the Common Core standards. I am sad to note that the State legislature has done nothing, which means (as a result of legislation passed last year) that our state will now adopt the new "national" standards. Not standards created by a Federal agency and carefully tested to prove their worth. Rather, standards that were created by a group empowered by the National Governor's Association and the State Superintendent's association, and strongly pushed by the Gates Foundation. These standards have major problems (such as being nearly unreadable), have never been tested in the classroom, and associated assessments do not exist. Furthermore, we are now scrapping the new, and quite good, math standards we just adopted--standards that cost our state over 100 million dollars . Finally, we have essentially given up local control of our educational standards to individuals that are not responsible to anyone. My group, wheresthemath.com, has talked to several state legislators who sheepishly admitted they are very uncomfortable with their votes, but that it was highly political, with the Governor, the Obama administration, and well-connected/well-financed foundations supporting this agenda. Not long ago, the Gates Foundation was pushing small schools as a solution to student learning. After wasting hundreds of millions of dollars, they admit it didn't work. Now it is Common Core standards. Don't get me wrong--strong, well-written and well-tested national standards could be useful models for the nation. Common Core is not those standards. Well, all of this education stuff is getting depressing! I need to get back to weather. But I wonder sometimes that great nations have a self-destruct mechanism and that our educational system is a reflection of that. 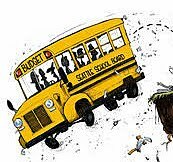 Our education industry is so sick-- Ed Schools that follow trendy, unproven ideas, teacher's unions that work against accountability, school districts that don't let empirical information on program effectiveness guide their work, school administrators without the experience and knowledge to know what they are doing (like here in Seattle! ), school board members without the time and tools to oversee complex district activities, and much more. Grade inflation and "don't damage their ego" approaches to student learning have allowed an atrophication of student attitudes and initiative. Other nations are doing a far better job than we and we refuse to learn from them. Just so sad and so unnecessary. We could do so much better.